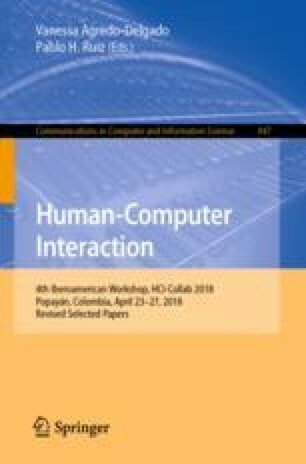 This research is presented to develop an interactive system integrating collaborative aspects, which can support in teaching of literacy as well as encouraging teamwork and enrichment of learning processes following a teaching method called ABCD-Spanish (in Spanish ABCD-Español) applied in children with moderate cognitive disabilities. The User Centered Design (UCD) methodology is applied to an interactive system that involves physical and digital elements in an interactive way, which can motivate to the child during the learning process, as well as provide constant feedback on the achievements obtained and the things that should be improved. This methodology guides the design according to the information obtained from the user, this makes the person the center of the design process. This project is presented like an inclusion opportunity for a group of people who deserve a quality education too. This research shows how the technology can be a tool to create new options and opportunities for everybody. To the Tobias Emanuel Institution.